Grocery shopping is an all day task for me from my rural community. It involves taking public transportation to a town that’s approximately 25 kilometers away. Because it’s such a time intensive activity, I try to limit my trips to once or twice a month. I have also started using a grocery list to make sure I get everything that I need. Inevitably, there is something that I forgot while on my grocery shopping excursion. For anything that I did forget or didn’t put on my list, there’s the sitolo (pronounced see-toe-low), or shop. 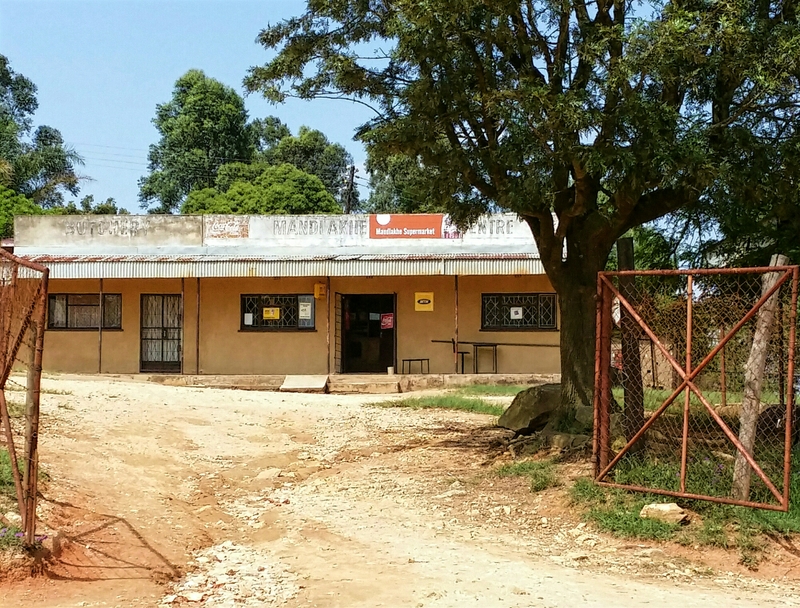 At a community shop, you can find essential items like bread, rice, cooking oil, and beans among other things. My community has at least four shops. The shops vary in size. They also vary in their offerings. At least one of the shops in my community sells various cuts of meat and margarine. The prices at the community shops are a tad more expensive than prices at larger grocers. Even in Swaziland, stores that are convenient have a price for that convenience. And it’s very convenient to spend a rand or two more for a few items instead of spending an entire day (plus transportation money) to get those same items. Merry Christmas from sunny Swaziland! In addition to Christmas, I recently celebrated another holiday: New Bike Day! Santa made an early stop to drop off a new bike in the Manzini region. I’m beyond elated. Peace Corps Swaziland approved me for reimbursement to get a bike just over a week ago. I knew that I wanted something that I would enjoy riding in my rural community. I wanted something that I could use for transport, recreation, and commuting. 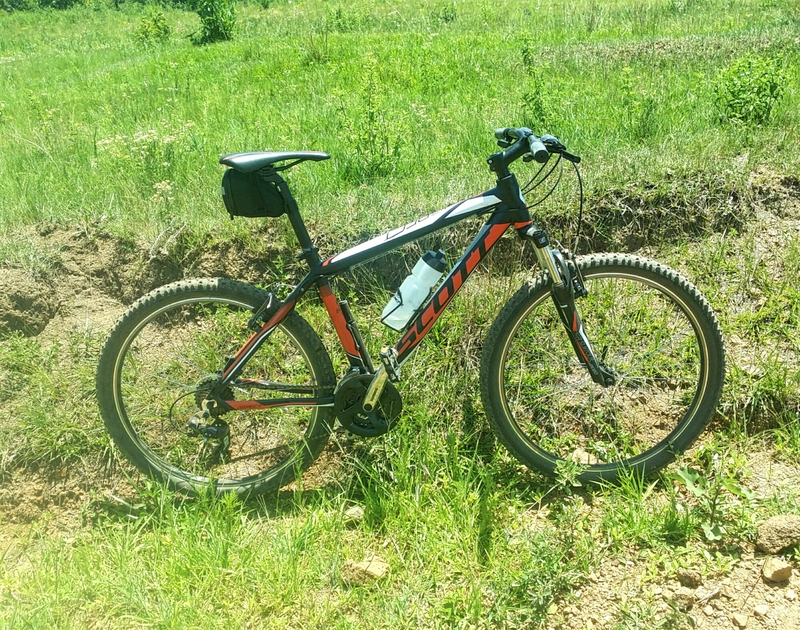 After speaking with a fellow PCV and a local Swazi about their respective bike buying experiences in Swaziland, I decided that I would check out Adventure Cycles in Manzini. I also decided that I would be purchasing a hardtail mountain bike. The shop had many options for mountain bikes. There were a few full suspension bikes that stole my attention for a while, but I regained focus. I wanted to have something that I would be comfortable fixing myself. There were also some road bikes that caught my attention. However, I live in a community with gravel/dirt roads, so a road bike was out of the question. Again, I regained focus. As I perused the selection of hardtails, I settled on a beauty. This Scott Aspect 680 came home with me last week, and it is amazing! On its maiden voyage, it performed very well. It took everything I could throw at it. It handled like a dream while riding the gravel roads. It’s much more speedy than I was expecting. The suspension was phenomenal, and the ride wasn’t nearly as jolting as I thought it would be on the bumpy road. Of course, my legs reminded me that I should never be away from cycling this long. I’m confident to say that this bike was the right decision. For those of you who may be wondering, I have not named this bike (yet). Feel free to leave any name suggestions in the comments. I had just gotten back from a vacation. It was a birthday vacation. This was right around Thanksgiving. One of my aunts and several of other family members were all having dinner with me at this restaurant in the mall. It was a nice sit down place. I ordered the pork loin roast appetizer to share. It had some citrus to it. It was delicious. I was so full. My aunt tried to make sure that I had the last piece. I said thank you, and just looked at the last piece of pork loin on the plate. I don’t rememberThis was Thanksgiving. After eating, we walked around the mall. I was with a very pregnant woman. We were in some kind of store that had clothes and other things. I remember looking at things, thinking “hmmmm, I should get this. But I don’t really want it.” I decided that I should spend this currency that I got while on vacation. But they don’t take currency from the Bahamas here. I take out a five dollar US coin and ask the guy in the downstairs window if they’ll take it. He said that they have to see how much it’s worth. I just wait for him to come back. He returns. I can get an opened pack of long stem unscented candles for my five dollar US coin. No change. The price on the candles is $3.25. Some other woman sees the pregnant woman looking at baby clothes in the racks. The woman said, “oh wow, you’re really pregnant.” Pregnant woman responds that yeah, she is. She’s due any second now. But the baby probably won’t come right now because the baby is sleeping right now. The pregnant woman keeps shopping. I look at my newly purchased candles.